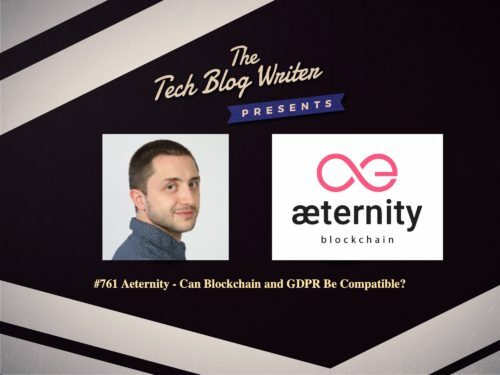 761: Aeternity – Can Blockchain and GDPR Be Compatible? A recent report highlighted that 74% of blockchain firms in the United Kingdom cite regulatory issues as being one of their key concerns. This response highlights unease over how GDPR and blockchain will intersect, in particular. GDPR empowers citizens to delete their personal data at any point, something completely at odds with the immutability of blockchain – a public record that is growing and resistant to modification through cryptography. I wanted to make sense of how GDPR and blockchain can co-exist in our increasingly digital world and understand where to begin when solving a problem like this so turned to the team at Aeternity for answers. Vladislav Dramaliev is Founder and director of BitHope Foundation the non-profit organization operates three websites with the aim of promoting cryptocurrency and blockchain adoption in Bulgaria and globally. Vlad is also the digital marketing manager at Aeternity. Aeternity is a blockchain network developed to integrate the scalability solution in blockchain smart contracts. The company envisions a future based on open-source, public blockchain 3.0 technology empowering billions. It is a vision that is being realized by a global community of believers, convinced in the disruptive potential of scalable, public blockchain technology. æternity is on a mission to disrupt existing online and offline interaction models and help billions of people benefit from a global sharing economy based on decentralized systems and individual merit. From a technological point of view, æternity is a decentralized æpps platform that scales through state channels, running smart contracts off-chain. It introduces a new language that supports formal verification and allows to write simpler, safer code. The VM also accommodates compiled Solidity contracts. æternity uses an ASIC-resistant, memory-bound Proof-of-Work with less than 15 seconds block time. It features an integrated naming system and oracles, which could be used to request and access data from various data providers. On today’s daily tech podcast, we explore the conflict between Blockchain and GDPR. We also talk about the house of blockchain in Liechtenstein which supports projects that share a vision for a future built on powerful, user-friendly decentralized applications. Next Post760: Dash Core Team CEO Ryan Taylor - What's Next For Dash Pay?